The woman took a photo of what she wanted along with her to the salon and handed over more than $100 (about £76). She was horrified by the result and shared the two photos on Facebook to shame the hairdresser. 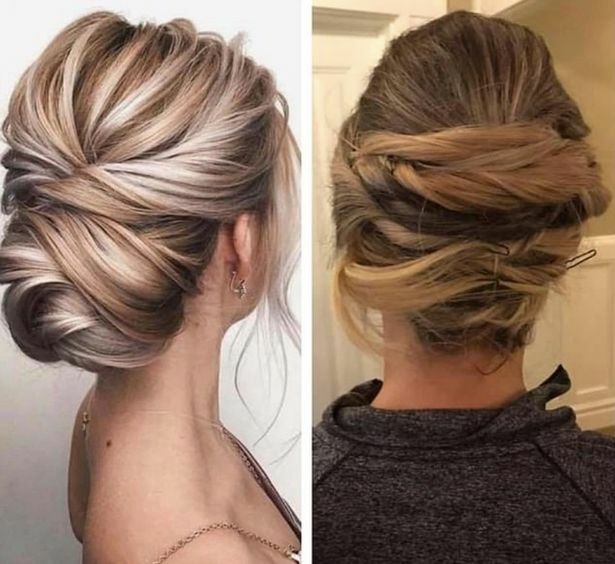 Instead of a pretty up do will scattered twists and curls, the woman was given strange lines of twists with the curvy grips on display, reports Mail Online . She wrote: "I'll just drop this here... left is what I asked for... right is what I got. "This was a professional who was paid over $100 USD." Thousands of people have commented on the photo to voice their opinions, and many said they hoped she didn't pay the full price. One wrote: "If you're already going to do a horrible job styling the hair, at least hide the bobby pins. "I would not be happy if that's how my hair turned out, especially when you can see the pins. Hopefully you got a refund." Another joked: "It's cute to include small children in the wedding party as flower girls or ring bearers... But don't ask them to do essential things like hair styling." The bride-to-be didn't reveal whether she paid the hairdresser in the post. Related Post "Bride-to-be shocked by ‘horrible’ hairstyle after hairdresser gets it very wrong"